The objective of the Federal Clean Water Act (CWA) is to restore and maintain the chemical, physical and biological integrity of the Nation’s waters, and to achieve wherever attainable, the goal of providing for the protection and propagation of fish, shellfish, wildlife, and providing for recreation in and on the water. Water quality standards are a key tool used by States to meet these goals and are a fundamental component of watershed management. Water quality standards are the foundation for numerous activities conducted by Georgia EPD including development of Total Maximum Daily Loads (TMDLs), issuance of National Pollutant Discharge Elimination System (NPDES) permits, and assessment of State waters as part of the 305(b)/303(d) listing process. The Board of Natural Resources establishes rules and regulations to protect Georgia’s surface water, the health of the people who use the water, and the aquatic life in the water. 2. Numeric and Narrative Criteria protect the designated uses. Georgia has general criteria that apply to all waters of the State, which include both narrative and numeric criteria, and specific criteria that support a water’s designated use. Specific criteria are for dissolved oxygen, pH, temperature, and bacteria. In addition, specific numeric criteria for lakes are for nutrients, chlorophyll-a, and pH. View a summary table of specific water quality criteria. 3. Antidegradation Policy protects and maintains the state’s water quality from new or expanding dischargers. Information on Georgia’s antidegradation implementation is given in the Antidegradation Analysis Guidelines, which may prompt new or expanding dischargers to use the Antidegradation Checklist & Form (Industrial), the Antidegradation Checklist & Form (Domestic), &/or the Wasteload Allocation Request form. Additionally, other helpful documents about permits for both industrial and domestic facilities are provided here. 1. Standards are adopted by the Board of Natural Resources after which they are filed with the Secretary of State’s office. 2. The Secretary of State posts the newly adopted Rules on their website. 3. Georgia EPD must obtain the State Attorney General’s certification that the standards were adopted in accordance with State law. 4. 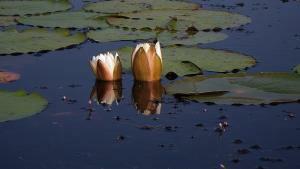 Finally, standards are sent to U.S. EPA for approval for Clean Water Act purposes. It can be many months between the time standards are adopted by the Board of Natural Resources and U.S. EPA approval is granted. Federal Regulation 40 CFR 131.20 requires Georgia to review and revise its water quality standards from time to time, but at least once every three years. This process, which revises water quality standards every 3 years, is known as the Triennial Review. Georgia EPD initiated the 2019 Triennial Review. A public notice was distributed on January 7, 2019, and a public hearing was held on February 26, 2019. EPD provided a presentation and draft Guidance for changing a Designated Use. Initial comments for consideration are being accepted through March 8, 2019 and may be sent to EPD.Comments@dnr.ga.gov subject: “Water Quality Standards 2019 Triennial Review” or mailed attention: Elizabeth Booth, Environmental Protection Division, Watershed Protection Branch, Watershed Planning & Monitoring Program, Suite 1152 East, 2 Martin Luther King, Jr., Dr., Atlanta, GA 30334. Additional meetings and public hearing(s) for the Triennial Review Process will be held to allow the public further opportunities to provide input. Georgia EPD initiated the 2016 Triennial Review process in early 2016. A public notice was distributed on January 6, 2016, and a public hearing was held on February 26, 2016. EPD received comments at this hearing and continued to receive input on proposed revisions until the end of the comment period on May 25, 2018. A final public hearing was held on Tuesday, May 22, 2018. This meeting provided the public a final opportunity to comment upon and offer input on the proposed rule amendments. On December 6, 2018, EPD submitted the 2016 Triennial Review package to EPA and is awaiting approval. View the public notice, proposed rule amendments, and the synopsis and statement of rationale. The supporting technical document “Lakes Oconee and Sinclair: Proposed Criteria Technical Support Document” describes development of the site-specific lake standards. The supporting technical document “Non-Recreation Season Bacteria Criteria Technical Support Document” describes development of the proposed bacteria criteria for secondary recreation waters during non-recreation season. Georgia has developed a mutually agreed upon strategy for adopting nutrient water quality standards. 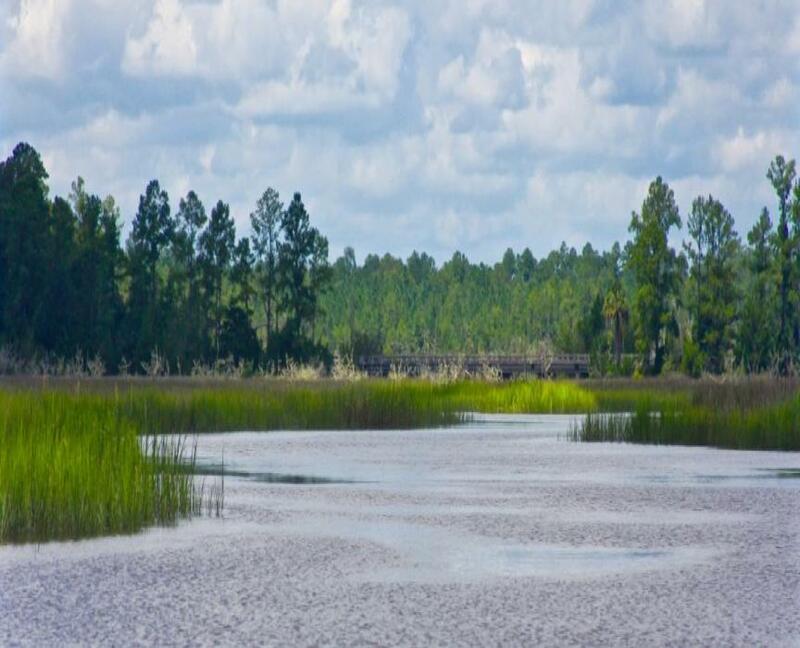 EPA, GA EPD, and SC DHEC have collaborated on a report intended to provide technical support in developing and establishing numeric nutrient criteria to support applicable designated uses in the states’ estuaries. Georgia EPD has developed strategies to address implementation of total phosphorus and ammonia in NPDES permitting. Outstanding National Resource Water (ONRW) is a designation granted to waters afforded the highest level of protection under Tier 3 of the antidegradation policy. 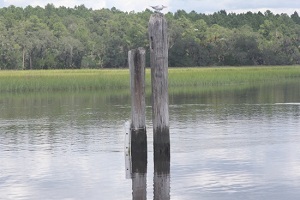 This designation is considered for waters of exceptional ecological, recreational, aesthetic, or historic significance. Existing water quality shall be maintained and protected, and where feasible improved. GA EPD has developed procedures for recommending ONRWs. GA EPD has developed an interim instream flow protection strategy that is used to maintain adequate water levels to protect Aquatic Life as part of the Surface Water and Groundwater Withdrawal permitting process.